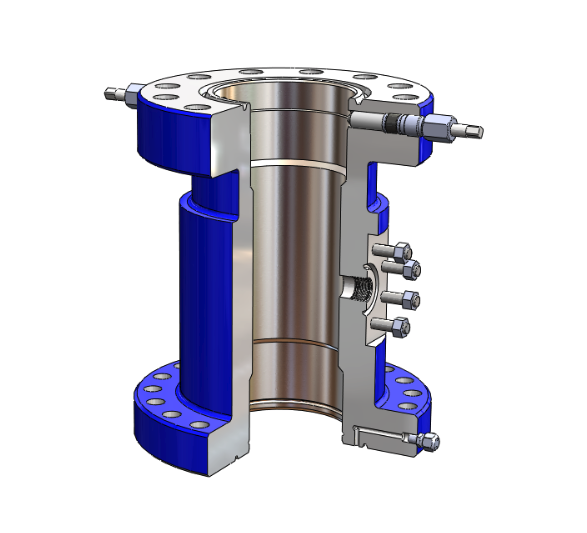 The Casing Spool is a wellhead component that provides a means to support and seal an intermediate casing string. The upper section has a straight type bowl and a 45-degree load shoulder to support the production casing string. 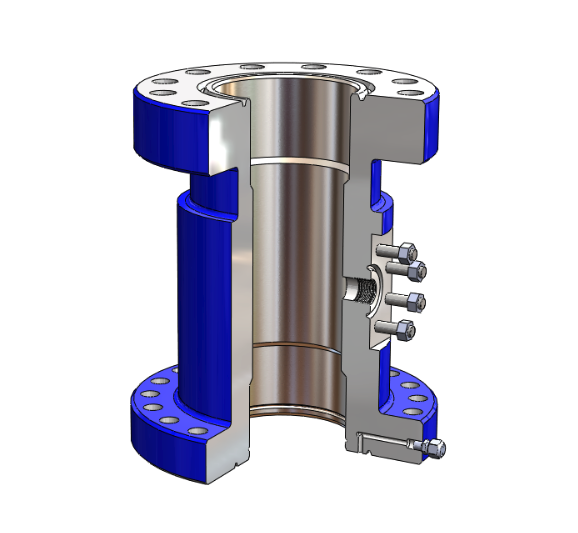 The lower section houses a secondary seal to isolate the two casing strings and provide a means to test the wellhead seals. The load shoulder and bowl also accommodate BOP test plugs. 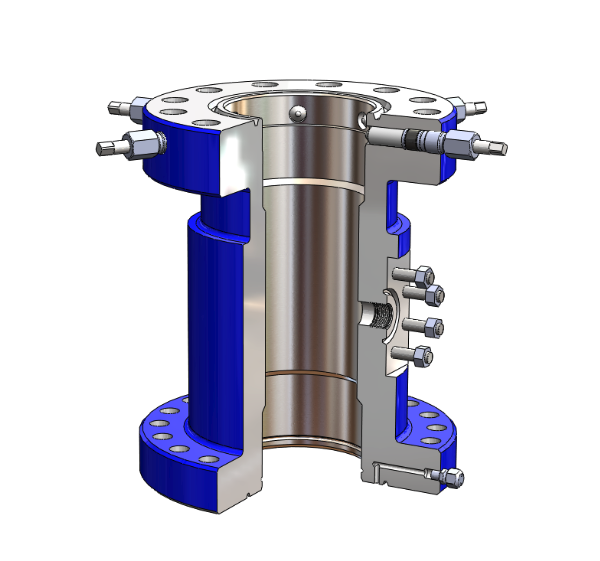 Both accept C-21 and C-21-P Casing Hangers for low weight situations.